This is really a Part 1 of a two part Ashley 1172 story. I say this as at the beginning in 1967 when it was first registered the car was based on Triumph components. 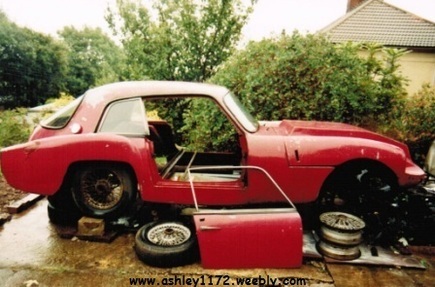 the wire wheels were from a Triumph Spitfire. 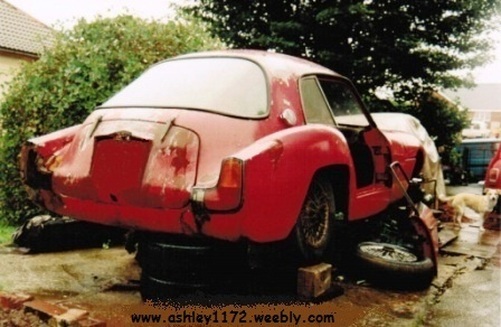 The Ashley 1172 bodyshell was numbered 1839, unfortunately I don't have any Ashley documents that list the body Nos.to dates produced so cannot date the body. If anyone has original or copies of Ashley production documents that could be copied and emailed to me I would be very grateful and happy to acknowledge receipt of them.